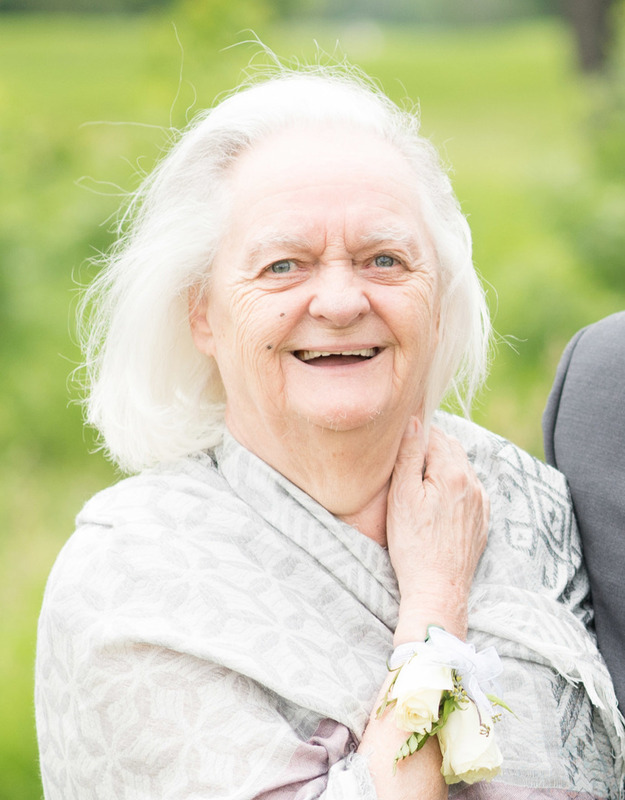 Mrs. Pauline Tanguay, age 83, passed away peacefully with her son at her side on September 25, 2018 at Southbridge Lakehead Manor. Pauline was born in Sainte Cécile-de-Lévrard, Quebec on April 1, 1935, and was the daughter of Sylvio and Eva (Roux) Delisle. Pauline worked at Wabasso Textile where she met her future husband Paul. Together they raised their only son Steve, living in Trois-Riviere, Quebec before moving to Ontario to the Sudbury area and finally to Elliot Lake. Pauline loved to knit, crochet and macramé. There were always many of her creations in the house. She was member of the Women of the Moose and was very involved in their activities. She loved to cook, and was in charge of the kitchen at the Moose Hall for many years. In 1991, Pauline followed Steve to Thunder Bay and became involved with the Francophone community. Her translator France was a wonderful friend who helped her on many occasions. Although she suffered from Alzheimer’s and was losing her memories, she would come alive again when she heard French music. At Steve and Michele’s wedding last July, Pauline danced the night away as the band sang a number of French songs thanks to Quest’s Serge Claire. 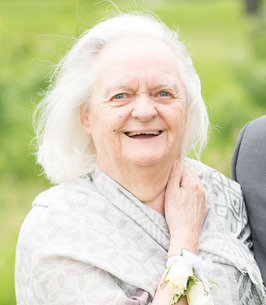 Pauline will be lovingly remembered by her son Steve (Michele), Sister- in- Law Agathe Binette, as well as numerous nieces and nephews in Quebec. She was predeceased by her husband Paul, her brothers Roland, Paul-Emile, Georges, Henri and Adolph, and her sister Annette. A Funeral Mass will be held on Saturday, September 29th at 11:00 am at St. Elizabeth Church celebrated by Rev. Rey Ronquillo. In lieu of flowers, donations to the Alzheimer’s Society of Thunder Bay or the Heart and Stroke Foundation would be gratefully appreciated. A special thank you to the nurses and PSW’s on the 6th floor at Southbridge Lakehead Manor for their care and compassion during the last stage of her life. Arrangements have been entrusted to Simpler Times Cremation Centre, 332 North May Street, Thunder Bay. To plant a tree in memory of Mrs. Pauline Monique Tanguay, please visit our Heartfelt Sympathies Store. We encourage you to share any memorable photos or stories about Mrs. Pauline. All tributes placed on and purchased through this memorial website will remain on in perpetuity for future generations.